Our clients own THE BEST French Bistro in Kelowna so it only fit that their condo renovation would have a Parisienne sense. The very long chalkboard is a commentary on their lifestyle, careers and sense of humour. 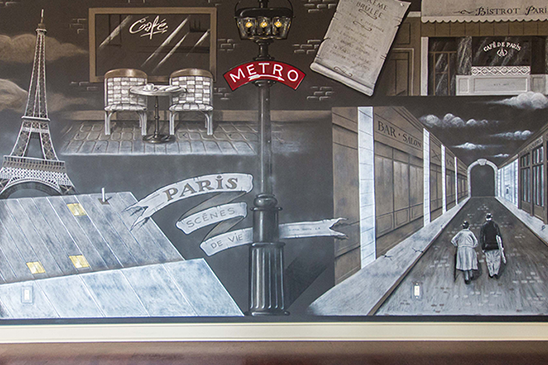 It’s a little bit of Paris in Kelowna.